JD Williams Midster Model Search Winners. You will have seen me tweeting and instgram posting about this fabulous search JD Williams announced for us "Ladies of a certain age" to model for the brand, and the results are in! A national model search launched as a direct result of women aged 45 and over saying they didn’t feel represented in advertising, TV and on fashion runways has crowned not one but two winners who are aiming to shake up a youth obsessed fashion industry. The winners of JD Williams’ Midster model search have been revealed as Sue Hammond, 58 from Buckinghamshire and Jenny Stout, 53 from London. JD Williams launched the search earlier this year, as part of its ongoing commitment to use age appropriate models in its brand and advertising campaigns. The competition came off the back of research which revealed more than a third (79 per cent) of British women feel ignored by the fashion and advertising industry. The three-month long search in association with Models 1 was open to women aged 45 and above, of all sizes and shapes, and saw more than 600 women apply. A final shortlist of 11 women whose ages spanned from 45 to 61 were invited to a casting day in London where they came face-to-face with the judging panel which included Britain’s Next Top Model judge and celebrity photographer, Nicky Johnston; Uwe Herzstein from Models One; supermodel Jan De Villeneuve and Creative Director at JD Williams, Beth Lowry. Sue and Jenny will now appear in the brand’s Spring/Summer 2019 advertising and PR campaigns, plus receive an introduction to Models 1, Europe’s largest model agency. Fellow winner Jenny, an ex-Olympic athlete, said: “I heard about the model search from a friend on Instagram who thought I would be perfect for the brand. I did a little bit of research to see if I would fit the brand and ethos and immediately resonated with it; to feel comfortable in your own skin no matter your age or size. Women in middle age still have something to give that is valuable and can still be attractive, confident and fashionable. 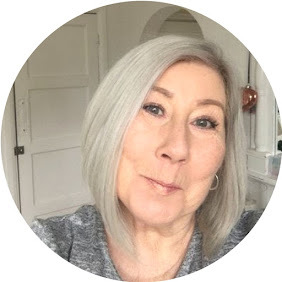 Creative Director at JD Williams Beth Lowry added: “As a brand which caters for older woman, we believe it’s important to use age appropriate models in our advertising and marketing campaigns, which is something we wholeheartedly encourage others to do. However we’ve found it difficult casting 45+ models in our campaigns, as the pool of models is notoriously small - which is one of the reasons why we launched this model search. Sue and Jenny’s first appearance as the new ‘faces’ of JD Williams will see them walking the catwalk at JDW Midster Live AW18 – a fashion show which will put Midsters on the agenda at this year’s London Fashion Week. They will both walk the catwalk alongside a cast of models and celebrities all aged 45 and above.